How much time and effort are you willing to put into your martial arts (or any other activity for that matter)? Are you willing to travel? Are you willing to pay the fees? If you answered “Yes” to those questions, you have probably traveled (or will travel) more than 50k miles and have (or will have) paid $25k to get the training that you want. Please note that I said TRAINING, not rank. Rank means nothing without having gained knowledge and experience beyond just doing what you’re told in order to perform a test. Now, I do understand finances come into play with this BUT that shouldn’t be an automatic response when you hear that an event is upcoming. If money is a great concern, then you probably shouldn’t be training. I mean, if money is that tight, use it for higher priorities! Now that you’ve done the “Well, that’s not the point” response, you can admit that you may have the money but there are other conflicts or priorities. Yes, everyone has to figure out their schedules in order to fit travel to seminars and events, which is where the next statement usually comes… “I don’t have the time off”. You may not, that’s fair, but, like the money reason, how often is it a knee-jerk response? Both of these statements illustrate your thoughts regarding the value of your training. It is very difficult to explain “why” many of us will spend the money, use the vacation time (or lose the money because of missing a shift) and travel all over to train. A large part of it comes down to… “How much respect do you have for yourself?” If you have a serious interest in a topic/subject/activity, why not spend the time training? Thinking about it, training may correlate to getting a dog. Think it’s a strange analogy? How about this, if you get the dog, you promise to feed it, walk it, train it, make sure it behaves. The whole while the dog is becoming family. When you’ve done all that work and spent the money on food and veterinarian bills, you recognize what joy and love has been in your world and how much it hurts when the dog passes. Is your training that valuable to you or did you stop feeding and walking the dog? My story is the only one I can use here but I know several others who have similar histories (but since I don’t have their details, I won’t add them here). 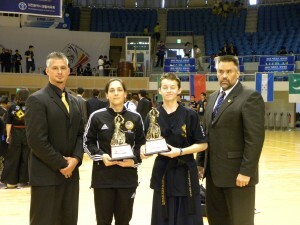 Probably the saddest part of my martial arts career is that my parents never saw any of my tests or tournament action. 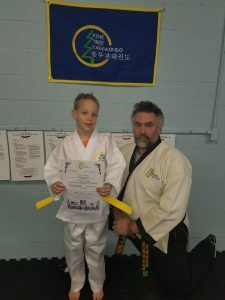 As a color belt in Taekwondo, our tests were regularly done as bigger groups. The closest test location, that happened one time only, had been a 20 minute drive but most were two hours. 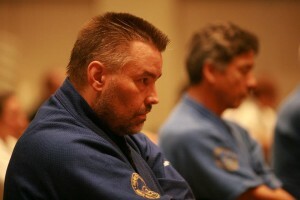 The black belt testings were typically two hours away and held the night before tournaments. This was back when tournaments were still on Saturdays. This meant traveling Friday, hotel Friday night, tournament Saturday & travel home Saturday evening. 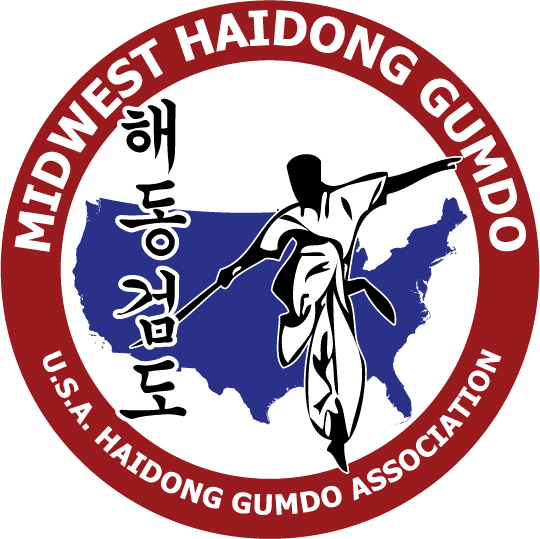 Now, the travel has resumed as I have been trying to learn from SGM Joon Pyo Choi in Ohio. These trips are a 12 hour drive, which I’m too old to want to do in one shot anymore, so it ends up as having a hotel for 4 nights as I attend his quarterly camps. The training and testing was done locally. 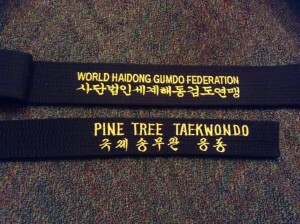 The color belt ranks were done by the instructor and the black belt ranks done by the system founder during his annual weekend training visit. 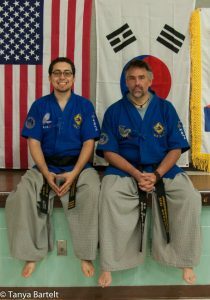 Since the culture was vastly different from my 10 years Taekwondo experience, the opportunities to train with incredible instructors from within the system arose. This led to several road trips to St. Louis, MO and Battle Creek, MI plus a couple summer camps in California. These road trips usually consisted of leaving at 6:00am Friday to drive 12 hours and get there in time to change and be on the mat at 7:00pm. The Saturday training was all day. 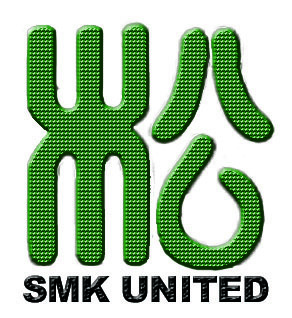 Sunday would have training from 9:00am to Noon. We’d be back on the road by 1:00pm for the 12 hour drive home and, after a short sleep, be at work Monday morning at 8:00am. Since I’ve done contract security for a long time, in addition to teaching, these weekends meant that I’d lose 8 hours of pay in addition to the expenses of the trip. The only difference between these and the summer camps was flying instead of driving. I have never even thought of keeping track of the total expenses. I know that I would not trade the knowledge, experience and memories for anything. Traveling to St. Louis for one seminar had 10 of us in two cars with walkie-talkies telling jokes between cars the whole drive. The socializing that happened and all of the incredible people that I met are immeasurable. I do completely acknowledge that all of this effort has put a strain on many aspects of life, with finances and family being the most obvious. I do think that it has been worth it and probably won’t change any of it until I can’t train any longer. So, what is the value of your training? What are you willing to do to achieve the goals that you see? The characteristics of serving, humility and dedication are reflected here. 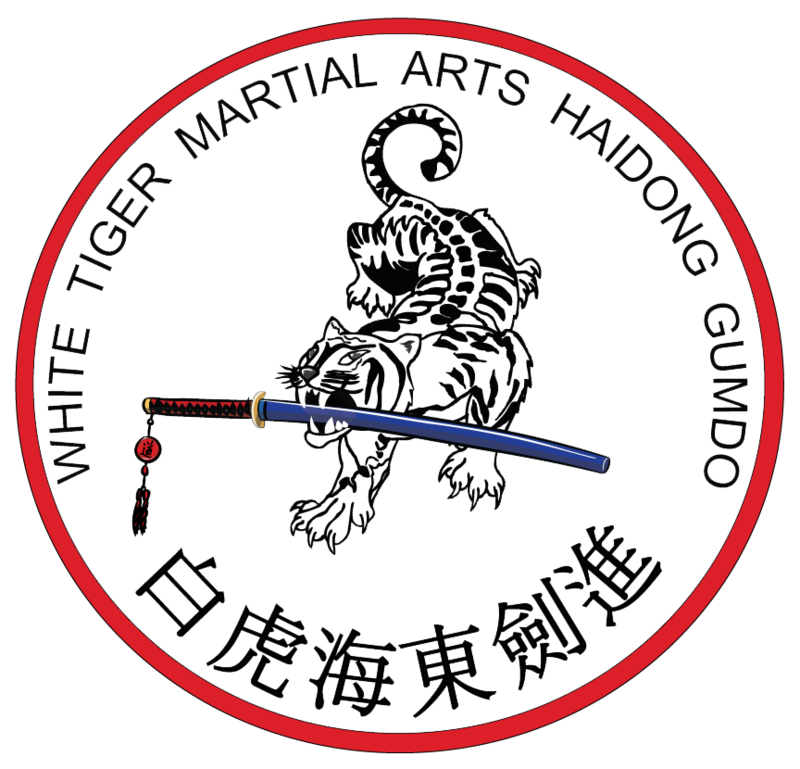 These are part of who a martial artist…warrior…is beyond the physical training that they do. I urge you to look at training events as the opportunity it is, not the expense that comes from it. I believe that my training, and all the other benefits that have come from it, are priceless! And what have I gotten for all the years of training, money spent and time invested? 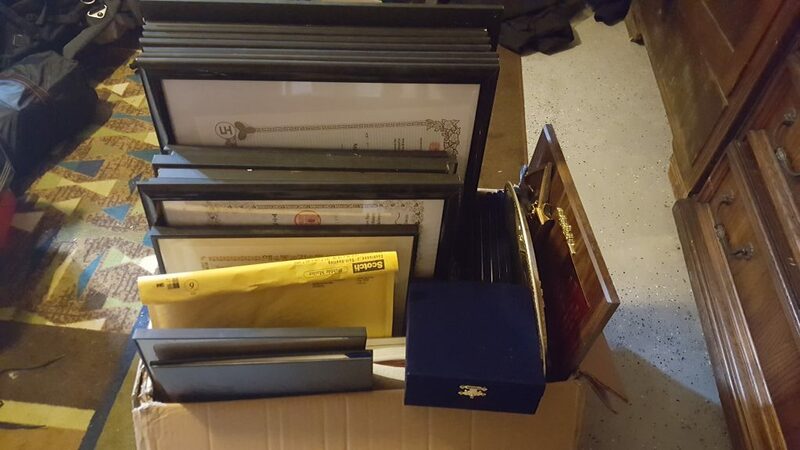 A box full of paper and stuff collected over the past 36 years. Was it worth it, or is it ALL that I have from this time spent training?